Do you have a dinosaur loving kiddo in your house? 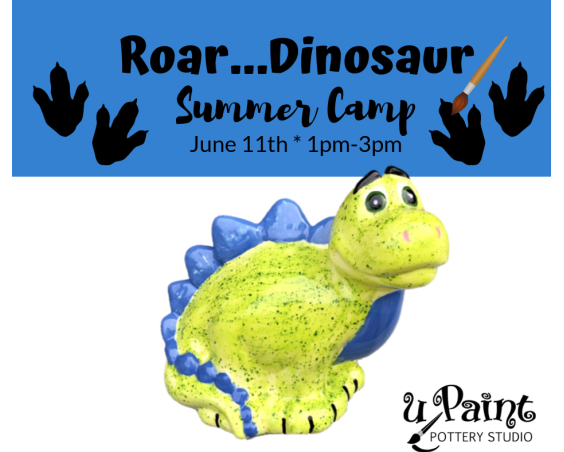 In this camp artists will paint a not-so-ferocious dinosaur bank, create with fun sand art, and make a dinosaur mask, which will be perfect for the uPaint photobooth. 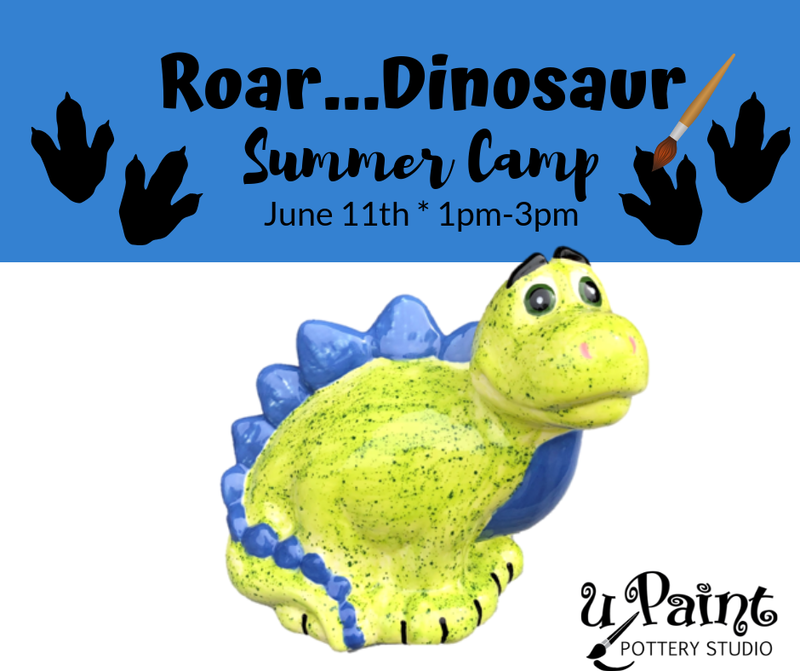 uPaint summer camp is recommended for children 5 years and older. Sign up today! This is just 1 of 18 fantastic days of uPaint Summer Camp. Sign up for the number of days/projects you would like to attend and only pay for those days. Register today online or by calling the studio location of choice.